If you wish to reuse (for commercial purpose) any part or all of a manuscript, please contact the copyright holder, contact@pjnmed.com. © Pakistan Society of Nuclear Medicine. Copyright © 2019 Pakistan Journal of Nuclear Medicine All Rights Reserved. 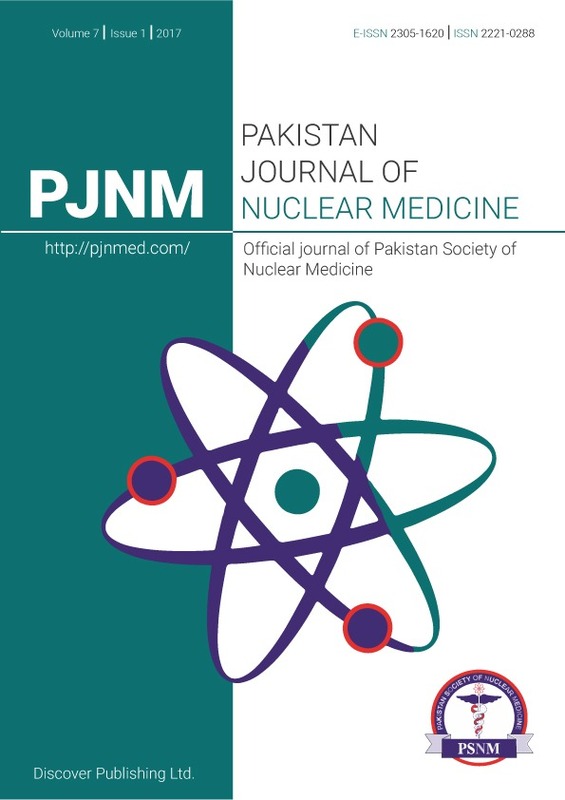 Subject to change without notice from or liability to Pakistan Journal of Nuclear Medicine. Pakistan Journal of Nuclear Medicine (PJNM), Room # D-115, D-Block, Department of Medical Sciences, PIEAS, Islamabad, 45650, Pakistan.